2010: After deciding that having a trophy that was simply a smaller ADC Cube wasn't going to cut it, Young Guns 8 introduced one of the award's greatest traditions — the Cube would be redesigned every single year, so that each class would receive something truly theirs. 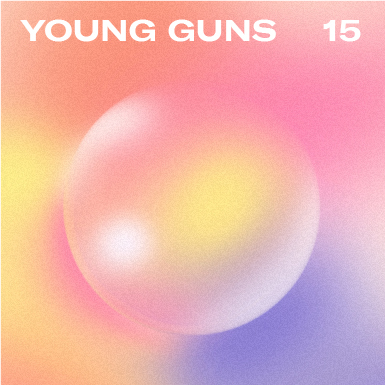 The Young Guns 8 Cube was designed by artist, entrepreneur and YG5 winner Justin Gignac and artist, furniture designer and YG2 winner Michael Whitney. The Cube was made out of wood, and at the October 7, 2010 ceremony and party, recipients had to saw off their own Cubes. Mike Krol’s second album, "Trust Fund," was released in June 2013. Prior to freaking out, Mike Krol was a designer at the Yale University Art Gallery in New Haven, CT. Before that, Mike Krol was a designer at Planet Propaganda in Madison, WI. His personal clients have included Nike, MTV, Penguin, Random House, and various bands you have never heard of. In 2006, Mike Krol graduated from the School of Visual Arts in New York City. Mike Krol is originally from Milwaukee, WI.